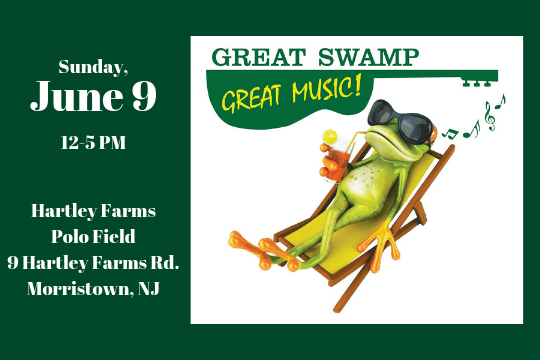 Gather up your friends and family for an afternoon of live, outdoor music at GSWA’s 2nd Annual Great Swamp Great Music Festival. Grab a spot under the tent or in the field, and check out the variety of tasty food, merchandise, and adult beverages for sale by our local vendors. It’s all the ingredients you’ll for a sensational Sunday afternoon! Your email confirmation serves as your ticket – be sure to print it and bring it along!